If you want to keep your audience coming back again and again to your website, then you want to provide long lasting content that stands out from the rest online. You can do this by creating evergreen content. 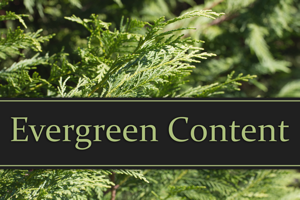 Why is it called evergreen content? Evergreen content is considered sustainable and lasting just like evergreen trees that always retain their leaves throughout the seasons. Evergreen content stays fresh for a longer period of time than most content and is considered more valuable from an SEO and traffic perspective. We often believe all online content is sustainable such as articles and blogs because they don’t disappear; however, when we talk about our content being evergreen it means this content continues to be relevant long past its original publication date. Evergreen content virtually has no expiration date which makes it ideal because it has long lasting value to your readers. Anything that has been written about this year’s US presidential election, the latest hurricane or who won medals in this summer’s Olympics for example, is not evergreen content because it will become obsolete over the months to come. Many keywords and dates associated with that topic will also be pushed down the ranks to Google’s database graveyard. Writing articles in these formats does not make your piece evergreen content automatically. Adding relevant SEO with searchable keywords helps make your content web friendly. This means you should carefully consider basing your evergreen content around certain words you’d like your site to rank on. The more it’s a relatable topic and is easily found, seen, shared and linked, the longer lasting it will be. Write for beginners: Experts are far less likely to be searching for help – so keep your evergreen content centered on topics that are helpful for beginners. Avoid big words: Present your topics in down-to-earth language that is positive and friendly. Too much technical jargon or a lecturing tone can scare away your audience. Narrow down your topic: Keep it relatively short and sweet. If your content is too long you run the risk of having readers lose interest in what you wrote. 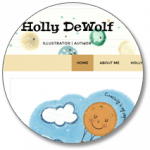 If it’s a big topic consider making it a two to three part series. Link posts together: If you have created a series of articles based on a similar theme don’t forget to link them together so that your readers can access them easily. Repurpose content: Some topics can be slightly rewritten and repurposed into other formats such as newsletters and videos. Older blog posts can be reformatted with updated images and SEO based on popular web searches. Don’t forget to repost them on Instagram and Twitter with fresh hashtags to reach a new audience. As you can see, evergreen web content is very valuable and has the potential to continue to bring traffic to your site for many months, or even years to come. Remember the best content marketing strategy relies on a mix of both topical articles and interesting long-lasting evergreen posts.